The 2007 Nobel Prize awards for chemistry, physiology or medicine, and physics were recently announced as they are every year at around this time. 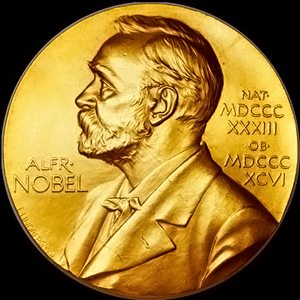 As I mentioned in last year’s post, the Nobel Prize awards were established in 1895 according to the will of Swedish chemist, engineer, and inventor Alfred Nobel and endowed by his estate. Other than the three natural science awards, Alfred also wanted awards for literature and peace. 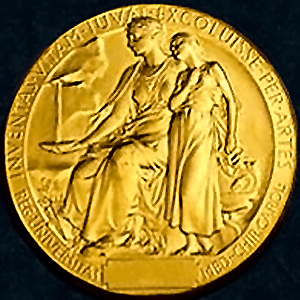 All five Nobel Prizes were first awarded in 1901. In 1968, Sweden’s central bank established and endowed the Nobel Memorial Prize in Economic Sciences for their 300th anniversary. This prize for economics in honor of Alfred Nobel was first awarded the following year. The 2007 Nobel Prize for Chemistry is awarded to Fritz Haber Institute of the Max Planck Society scientist Gerhard Ertl for his studies of chemical processes on solid surfaces. The 2007 Nobel Prize for Physiology or Medicine is awarded to Howard Hughes Medical Institute scientist Mario Capecchi, Cardiff University scientist Sir Martin Evans, and University of North Carolina at Chapel Hill scientist Oliver Smithies for their discoveries of the principles for introducing specific gene modifications in mice by the use of embryonic stem cells. 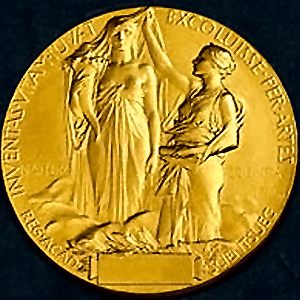 The 2007 Nobel Prize for Physics is awarded to both Université Paris-Sud in Orsay professor Albert Fert and Jülich Research Center scientist Peter Grünberg for their discovery of giant magnetoresistance.